The Nominees Are In! 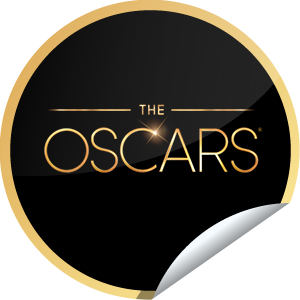 Mooks Take Over the 85th Academy Awards | mookology. January 10, 2013 / Mookology. ← Happy 1st Birthday to Mookology! Reblogged this on Largas noches de Inspiración . Well, on best picture, I really hope it will be either “Life of Pi”, “Les Miserables”, or “Django Unchained”. I have watched neither of them, but I will try to watch them in the next few weeks. For the actor in a supporting role, i hope for Christoph Waltz. He is a great. For the animated feature movie, I hope for Tim Burton’s “Frankenweenie”. For directing I hope for Ang Lee, and the best cinematography will be hard I guess, so many good movies. Costumes will get Anna Karenina I think. For the music, I hope for John Williams (Lincoln) and for the original song i hope for adele. Thanks for letting me know your predictions/hopes! I feel similarly to you in most ways, but I actually think the Best Actress category is quite intense this year as there are so many wonderful actresses! Reblogged this on Book & Film. I loved Les Mis and definitely think that Anne Hathaway deserves the Supporting Actress nod, but for Best Actress I would have to go with Jennifer Lawrence. I hope to see more of the movies this weekend so I can decide my pick for Best Picture!